Everybody wants to feel the very best they can. Sometimes life gets in the way and makes it pretty tricky. There are so many messages in the media, it’s not easy to navigate and know who to trust. Our Physiotherapists, Exercise Physiologists and Dietitians have dedicated years to study. But it doesn’t end there. To be a registered health professional, it is also a requirement that they continue their education through-out their career so that their clinical practice is always based on the best current research. We call it evidence based practice. 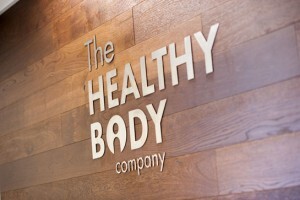 The Healthy Body Company grew from the business that was Nepean Physiotherapy Centre. We have been providing expert physiotherapy services to the people of Penrith for over 20 years. In addition, we offer exercise therapy, remedial massage therapy, specialised execise classes and pilates classes in recognition that our clients don’t just want their musculoskeletal injury fixed, they want to enjoy an active life, and a healthy body. Our dedicated team are committed to achieving the best outcome for each and every client. Our mission is to operate successful health businesses that provide excellent outcomes for all our clients, and an interesting and positive working environment for our staff. At The Healthy Body Company, we strive to provide our clients with the ideal experience every time they attend our practice. We have premises located in three convenient locations in Jordan Springs, Penrith and Caringbah. Our physiotherapy treatment services are available for the full range of musculoskeletal, neurological and cardiorespiratory conditions in babies, children and adults.